Cookies & Beer: local love: blueberries, tomatoes & bacon, oh my! 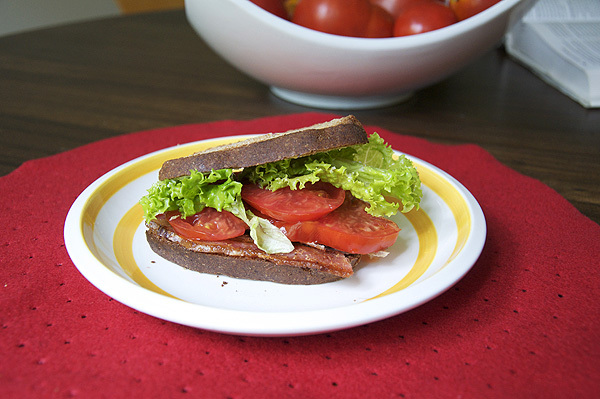 local love: blueberries, tomatoes & bacon, oh my! 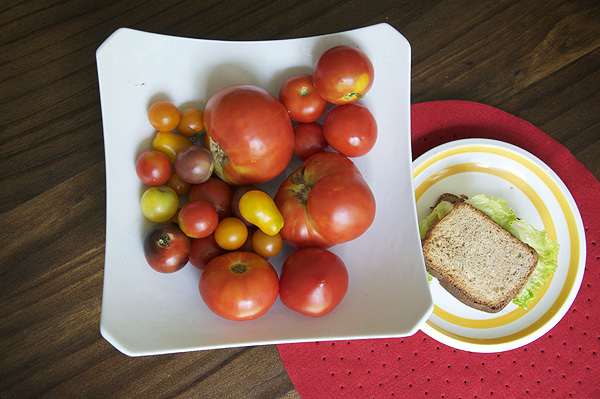 My idea of the good life during the summer is indulging in fresh, local foods. Pretty simple. So yesterday was a great day in my life. 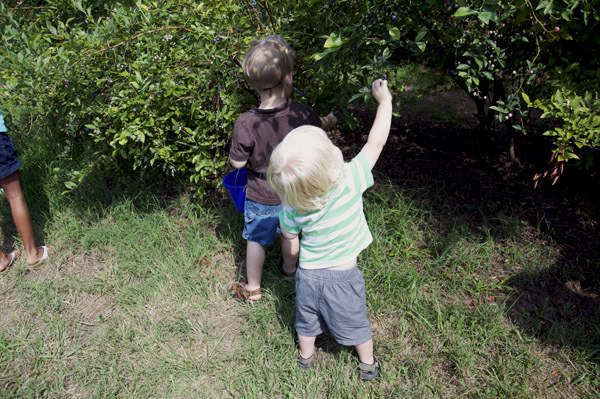 We started with a little blueberry picking with one of my mommy groups, over at Franklin's Golden Bell Blueberry Farm. 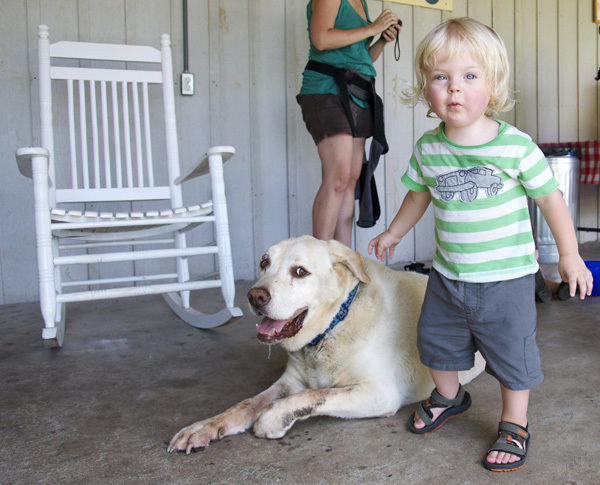 The cutest family runs this farm and they were all there helping out, along with their sweet yellow lab. Thank goodness some rain came last week, or this happy little farm would have been done for the season. 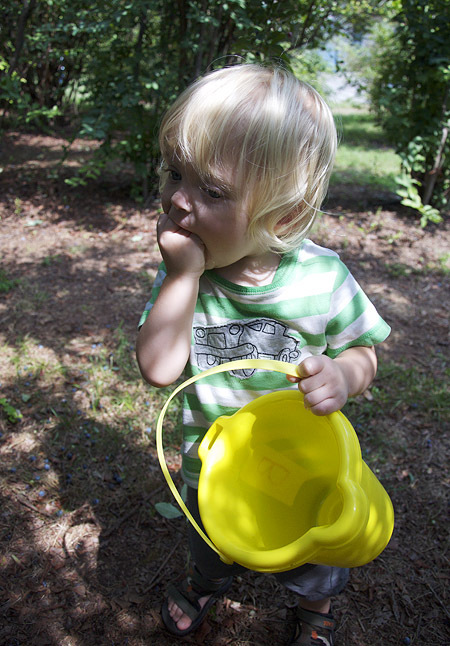 But as of yesterday, there were lots of blueberries ripe for the pickin'. Max was obsessed. With everything: the dog, the blueberries, the trucks (or gators, perhaps is the appropriate southern term?)! When Max was stuffed full of blueberries and I'd paid for my meager pickings (only $1.25 for my half pound, wish I had gotten more!! ), Max buddied up with Lucky the Blueberry Dog. I tried to pay extra for all the berries that went straight to Max's belly but they wouldn't let me. I'm telling you, sweetest family farm ever! Local bacon from Peaceful Pastures, tomatoes from my Bountiful Blessings CSA, and whole wheat sourdough bread from a vendor at the Franklin Farmer's Market. A little mayo and lettuce and it was all over. Our CSA had extra tomatoes this week, so I snagged a bunch and am hoping to make some fresh pizza sauce with them. Yummo. Jenn, great post! Those tomatoes are making me hungry. :) I just checked out Bountiful Blessings, because I've been thinking about doing CSA produce. How is it working out for you? I'm worried that I'll have way too much food for just me and my hubby. ps ... I think Bountiful Blessings' CSA is on a wait list for this summer, but I've heard good things about Delvin Farms, too!